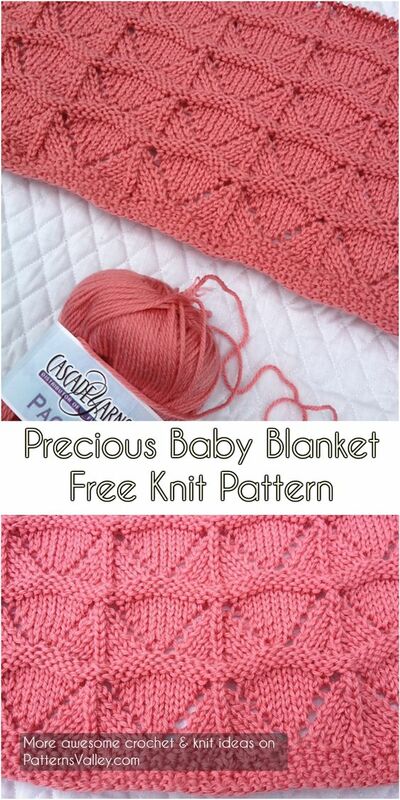 Knit this soft, cuddly blanket while waiting for baby’s arrival. This lacy pattern looks wonderful in any color, so choose a color that will coordinate with the nursery and start knitting! Link for free pattern is below!